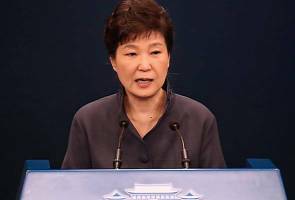 SEOUL: South Korea's independent counsel looking into the influence-peddling scandal summoned two arrested key aides to President Park Geun-hye on Sunday over their alleged roles in the blacklisting of cultural figures critical of the government, South Korea's Yonhap news agency reported. Former Culture Minister Cho Yoon-sun, who resigned from her post Saturday, and Kim Ki-choon, an ex-presidential chief of staff, appeared before the special investigators' office to be questioned over whether Park ordered them to make the blacklist. The independent counsel was launched to investigate Park's alleged corruption, also surrounding her confidante Choi Soon-sil, who allegedly exerted influence over state affairs and enjoyed personal benefits. The two were arrested Saturday on allegations they masterminded the creation and management of the blacklist, and also for delivering false testimonies during the parliament's hearings by denying their roles. The team suspects Park sought to make a blacklist of artists critical of her after the tragic sinking of the Sewol ferry in 2014, which claimed more than 300 lives. The opposition bloc claims Park failed to fulfill her duty as the president to lead the rescue operation. The accident was cited as one of the grounds for Park's impeachment motion, which was passed by the National Assembly in December. The independent counsel seeks to prepare for a face-to-face investigation of Park, expected in February, based on the investigation of the two figures. Park's lawyers deny she made such an order to write a blacklist and said they will seek lawsuits on false accusations by the media. The team also called in a professor of Ewha Womans University for providing unlawful benefits to Choi's daughter Chung Yoo-ra. The university had given a string of illicit favors to Chung, ranging from admission to help with academic affairs. Choi's niece Chang Si-ho also appeared before the office on allegations she extorted money from Samsung Group for the Korea Winter Sports Elite Centre. Chang earlier admitted that she forced the donation and that she embezzled funds from the centre that she controlled by herself.